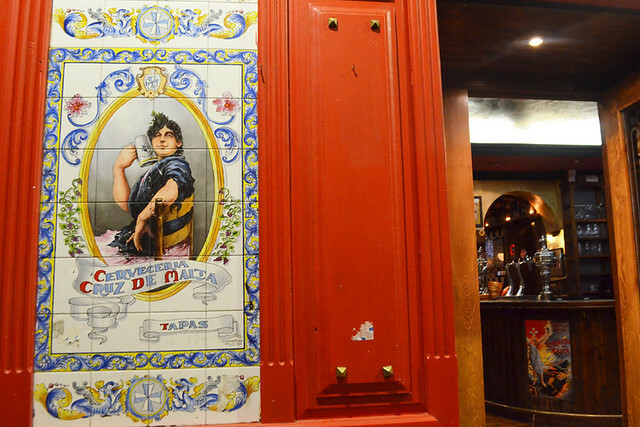 Who knows the story of how Spanish tapas came about? The answer is nobody, not for definite. I’ve heard at least six different theories, ranging from King Alfonso X eating small portions with his wine for health reasons to King Alfonso XIII having a slice of jamón placed over his wine to act as a lid (tapa) to keep unwanted foreign bodies (e.g. flies) out. Then there’s the whole slab of cheese or ham placed over glasses to mask the fact that the wine was poor. Or that tapas were introduced as an attempt to stop people getting leery after drinking too much vino in bawdy tascas. 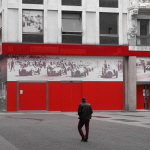 Whatever the true origin, picking at tapas became a way of life across Spain. Purists, and La Real Academia de la Lengua Española, define tapas as being a small portion of food which accompanies a drink; often a freebie to partner your frothy cerveza. Tapas have evolved to way beyond being a dried up slice of Serrano doing a balancing act on your glass. Sharing a selection of small plates is a hugely popular way of eating whether you’re Spanish or not. Nowadays finding tapas restaurants outside of Spain is nearly as common as finding Irish bars outside of Ireland. Recently in Saint-Paul-Troix-Chateaux in the Drôme Provençale we spotted two. 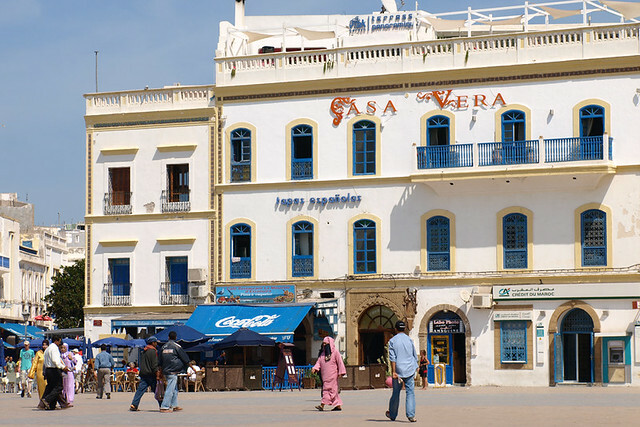 Some years ago in Essaouira in Morocco one of the first sights we saw as we entered the town was a restaurant serving tapas. Last year in Venice a little piece of edible jigsaw popped into place in my head creating an image which consisted of a series of small, tasty looking plates with influences which, well, weren’t Spanish . 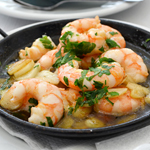 Tapas might be considered a Spanish ‘invention’ but it’s a way of eating which is popular in many countries. Long before we ever fell prey to the charms of wafer thin slices of cured Iberian meats and crispy croquetas, one of our favourite elements of two weeks rejuvenation on a Greek island was lunchtime and a selection of Greek tapas. Oops, sorry, I mean mezes. 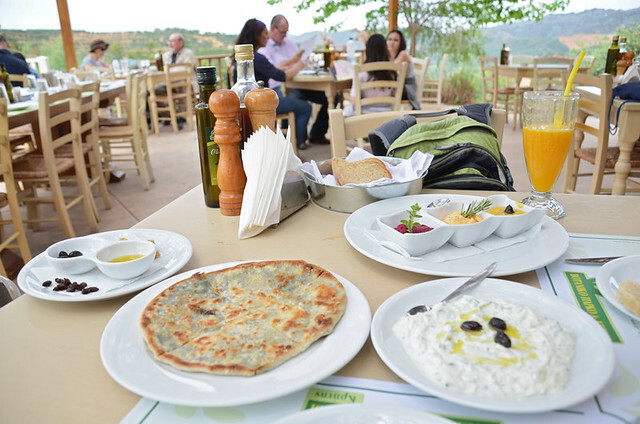 Tzatziki and taramasalata were a must, accompanied by whatever mezes a particular taberna had to offer – maybe something like spanakopita (feta cheese and spinach pies) or saganaki (grilled/fried cheese). Apparently ouzo and mezes go hand in hand, but that way leads to a drunken afternoon. We opted for beer or retsina instead, resulting in just a merry, then sleepy, afternoon. We’d never heard of petiscos until a couple of years ago. 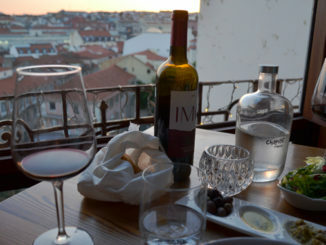 Whenever we read anything in English about Portuguese gastronomy it was usually the same handful of dishes which were referenced. Anyone who knows a tiny bit about Portugal could probably guess what these are. Yet in the last year and a half we’ve seen petisqueiras all across Portugal, and many traditional restaurants have a petisco section on menus. Petiscar means eating a selection of small dishes, best done with friends. Sound familiar? 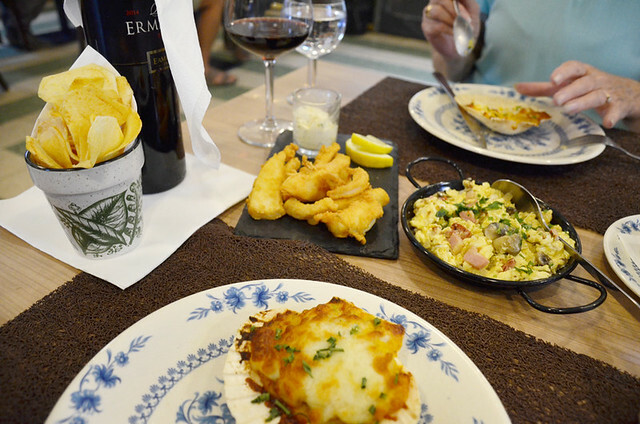 Our favourite petiscos include pataniscas (cod fish patties), chamuças (samosas), Azeitao cheese, and alheira croquettes (a type of pork-less sausage). Whilst on a cookery/walking week in Alpujarras we had our eyes opened to just how exceptional Middle Eastern cuisine was. Chef Tom Ryalls shared tips and recipes from the Moro kitchen which included a fusion of North African, and Middle Eastern influences, some of which just blew our taste-buds away. 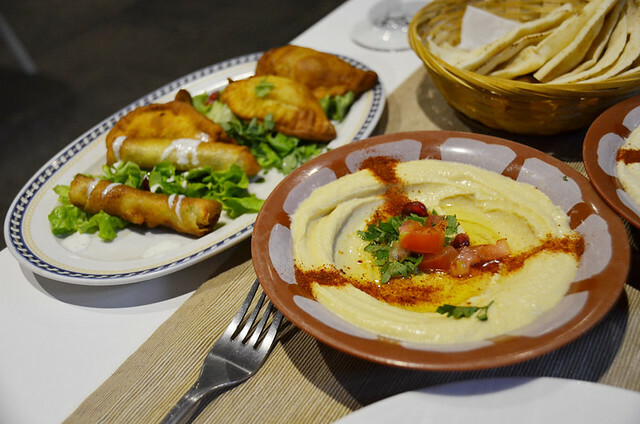 We were fortunate enough to have a Lebanese restaurant in Puerto de la Cruz near where we lived. Its menu included some of the dishes we’d enjoyed in Andalusia. Subsequently it became a firm favourite, especially when vegetarian friends visited and we’d share a platter of baba ganoush (smoky aubergine dip), hummus, falafel, fattoush, sambousek (little savoury pies) and batta harra (spicy potatoes). At Osteria A le Bande the barman suggested he throw us together a selection which involved melted cheese, tuna, cured hams, anchovies atop crusty bread at €2.50 each; they reminded me of Spanish montaditos. 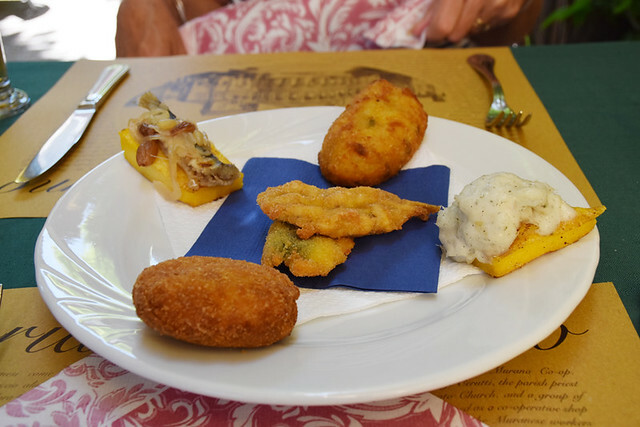 On Murano we picked at polenta slices topped with creamed cod, as well as butterfly fillets of breaded sardine fillets, and polpette (fried meatballs). I reckon if I dug around a bit more I’d find more examples of culinary habits in other locations that involved sharing small dishes with friends and which had a name that wasn’t tapas. In the end, if you’re the sort of person who loves to be able to try lots of small dishes at the one sitting, it doesn’t really matter whether what you’re dipping into is called a tapa or a petisco. Personally, I’m thankful it’s a tradition which isn’t confined to just one country.